Black Bear Cub Statues Garden Outdoor Sculptures. 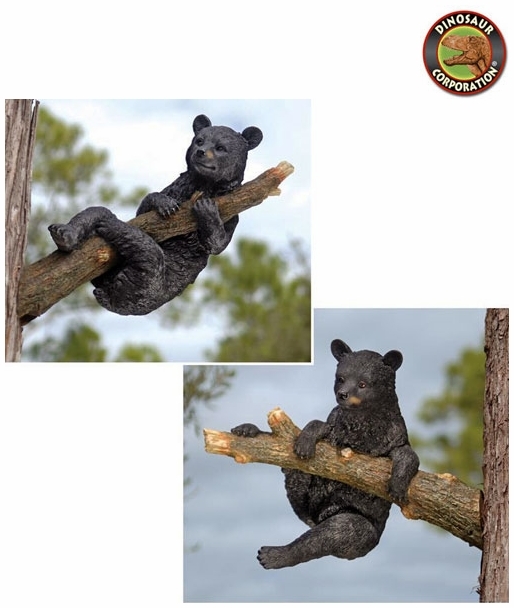 Bear cub statues are realistically sculpted on their own branches with the oversized paws and mischievous expressions of playful black bear cubs. 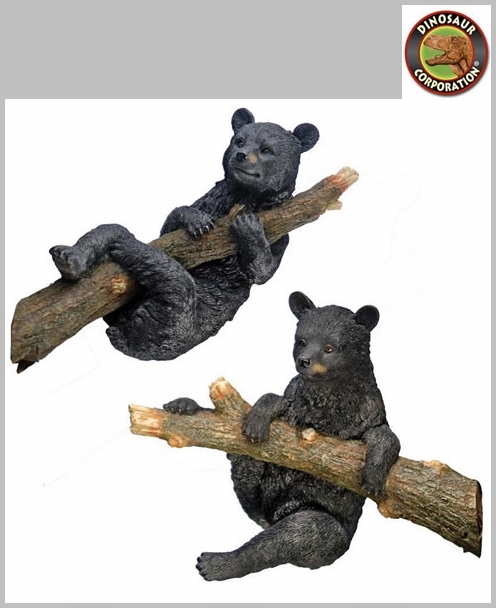 Both garden bear sculptures are cast complete with realistic branches in hand-painted, quality designer resin and include slot-and-block connections so they can easily �climb� onto your tree or most anywhere in your home or garden. * Climbing Bear size: 17" W x 5�" D x 8" H.
* Hanging Bear size: 15" W x 7�" D x 13" H.